- Fixed PXML description duplicate, thx ekianjo. - Fixed notifications on systray. - Fixed web previews not working. - Disabled phonon audio notification. - Compiled with crypt support. - Added Blowfish encryption using qca-ossl plugin. - Updated crypto to openssl-1.0.1h. - Updated crypto to openssl-1.0.1j. - Updated crypto to openssl-1.0.2c and QT4 libs. 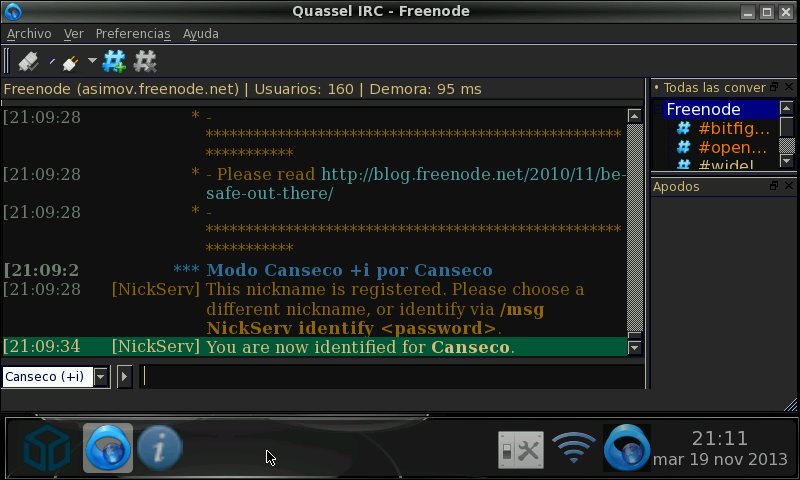 - Included quassel, quasselclient, and terminal (quasselcore --help more info) with Zenity launcher. - Updated all libs to QT5 version and openssl 1.0.2d. - Fixed libsnore-qt5 support. Notifications should work again. - Latest stable release, compiled with QT 5.6.0 from latest Codeblocks PND. 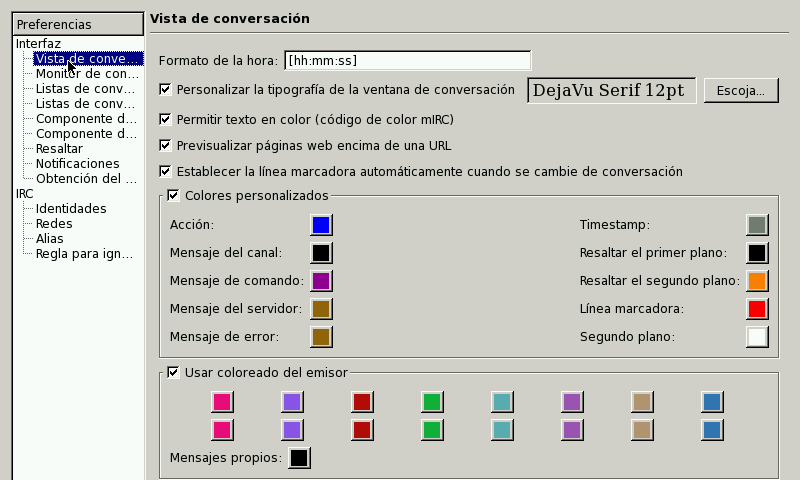 - Compiled with QT 5.7.0 from latest Codeblocks PND. - Removed libsnorenotify, not needed anymore for notifications. Can't reproduce here. If you could post pnd out contents on forum i could try to understand what's wrong. 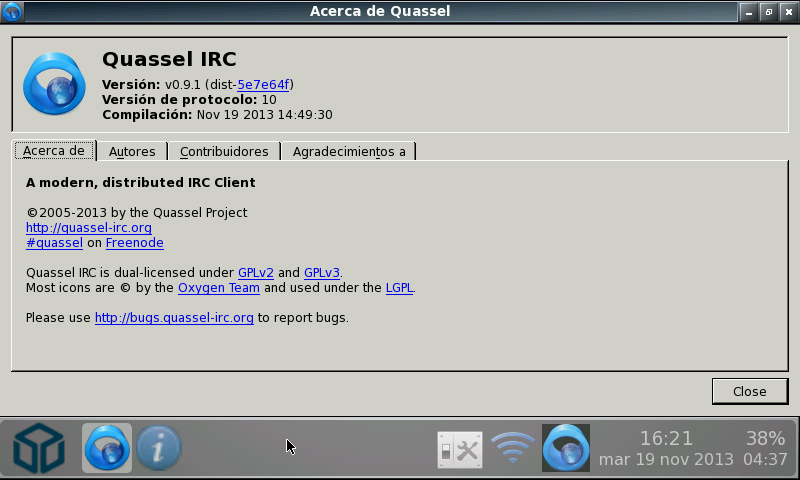 going into options / network makes quassel crash. did not do that before. 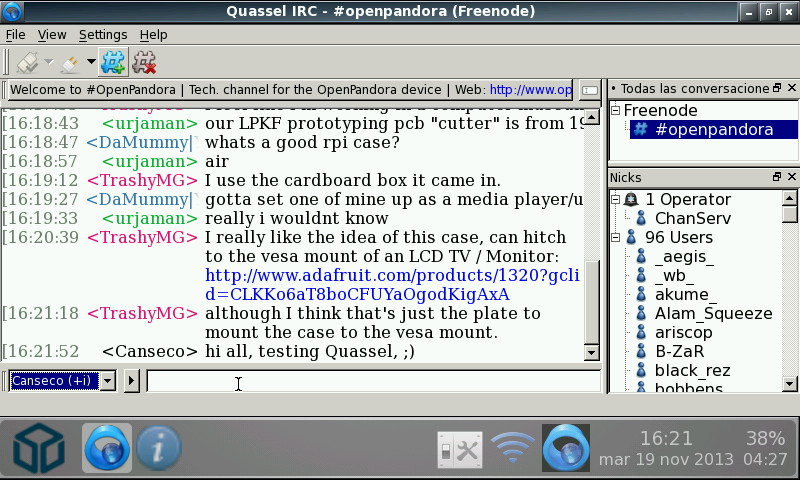 excellent irc client! i will use this one by default from now on!